Shelito Vincent set to fight her third bout on May 24th! Shelito Vincent vs Carmen Cruz (female bantamweights) – Bringing a good vibe and an infectious smile, the wildly popular Shelito Vincent (3-0 from Providence RI) pounded out her third win as a professional, defeating the debuting Carmen Cruz (0-1 from Fort Meyers, FL) over four easy rounds. Vincent came on strong in the final round, rocking her opponent with a nifty combination to close the show and leave no doubts. Unanimous shutout scores of 40-36 in favor of Vincent serve to illustrate just how dominant she was. Before her professional debut against Karen Dulin this past October, Vincent had an 11-4 amateur career, capped by winning the 2011 National Golden Gloves Bantamweight Title at 119 lbs. Shelito has recently begun training with the legendary Peter Manfredo Sr. She credits him with pushing her to the next level as a fighter, but more importantly, helping her to believe in her own potential. A native of Connecticut, Shelito has not had it easy. She has overcome tragedy, disillusionment and incarceration, but has found herself back on a more positive road. Her transformation will see her to speak on May 14th at the Bennie Dover Jackson Middle School in New London, CT as part of their “Hope Week” Effective Leadership Conference. Shelito will share her life experiences, struggles, and talk about what she has done to overcome her demons to move on to a better life. 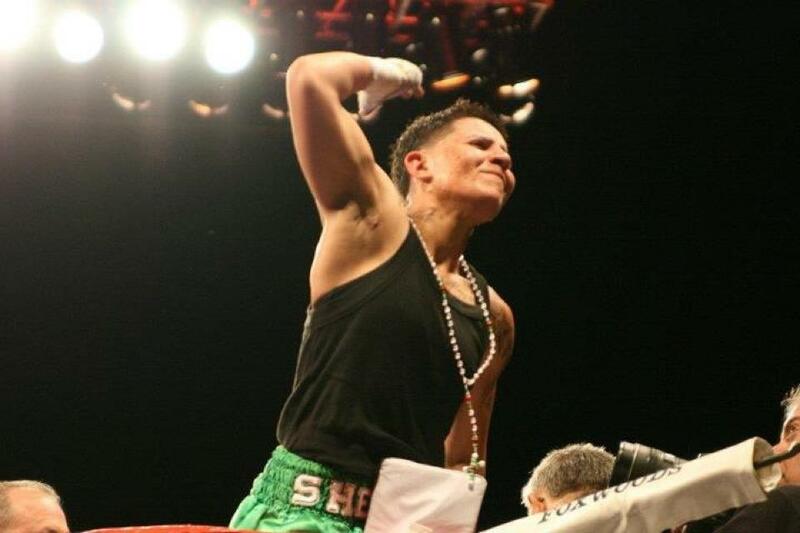 Girlboxing had the opportunity to pose a series of questions to Shelito about her upcoming fight, but more importantly, about her inspirational story. This is what Shelito had to say. Q1: Your first started boxing as an 18 year old and then found your way back to boxing later in your life having made a renewed commitment to training and to your amateur and professional competitive career. What has boxing come to mean to you? 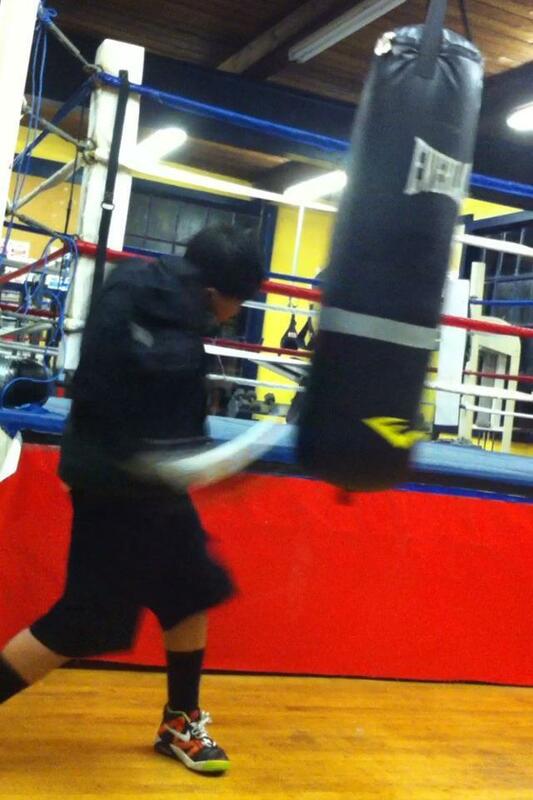 A1: Boxing means everything to me. I owe my life to boxing. It got me out of depression, out the streets, off booze. When I was incarcerated all I thought about was what if I took it serious would I be here.. Everyone told me I was good enough to get somewhere. Think back then I didn’t believe in myself. Life is a everyday battle some harder then others… I look to boxing as if I can take blows everyday then emotional pains and blows are nothing… I survive beatings everyday… When you win a tough fight u feel great… Same with battles of life… So to me they symbolize the same. Q2: A recent article about you discussed how your mother’s untimely death caused you to spiral into a deep depression and eventually some run-ins with the law. What can you tell Girlboxing readers about your road to recovery and how your story can be inspirational to others who have encountered similar setbacks? Q3: You have a loving partner with a four year old son. How has raising a child affected you and what can you share with us about the stability of your family life as you embark upon your professional boxing career? A3: They make me a better person! Keep me pushing and make me want to obtain bigger goals to build us a better future… His room has all my trophys an accomplishment… I think maybe if these were things I seen everyday maybe that’s what I’d of worked for… Just a theory lol hope it works… He’s a great kid wants to be a ninja an boxer when he grows up lol.. And my woman takes care a me as well as my corner in Peter, Mary, Dena, Marcia, an Lew my Grandmother’s an Father also my family in the Hadley’s an Vincent’s and all my friends that come out an support… I feel complete again… They are my “new family” as well… I have my nieces an newphews that look up to me heavy now… Have to show them what hard work will get you and NEVER let them down!!! Q4: It has been quite a year for you. You won the 2011 Golden Gloves National Bantamweight title this past July, and then made your pro debut in October. You are also training for your third professional fight on May 24th with a perfect 2-0 record. What has been the secret to your success in the ring? A4: Listening to Peter with Hard work an Dedication… An respect for the game… Also listening to what the rest a my team and what they suggest… They all have strong points an roles.. I take it all in. 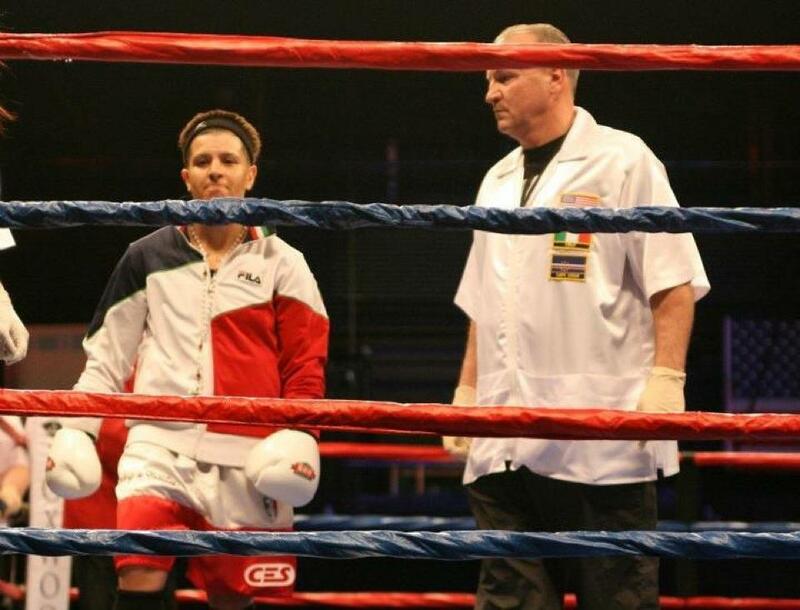 Q5: Your trainer, the legendary Peter Manfredo, Sr. has described you by saying. “She’ll do anything a man will do and more. She’s looking to show everybody, ‘I’m here. '” How do you react to that? What does the gym give you? A5: Always remaining that person… I have so much respect for Pete… I promise to always give him a 110%… He makes me believe in me and I know we are just going to keep building and getting stronger I mean look at our guys we got Falowo, Ayala, Toca Kahn who is about to shine as a pro! Missy the fury Fiorentino… Look at what JR. did… Being in that building gets me pumped… I love Peter he’s the best… I feel like I found my nest there. Q6: Women’s professional boxing is replete with women who are finding success in the ring well into their 40s and yet, it is hard to earn a living as a professional fighter. What challenges are you overcoming in order to pursue your dreams of winning a professional world title? A6: Traveling but it’s worth it… Failure is not an option for me anymore!!! TEAMWORK make a DREAM WORK… I’m chasing my dreams, no obstacles will stop the kid no more!!!! Q7: As you look into the future, what do you hope to achieve? A7: Happiness, RESPECT, become a role model an counselor to troubled youth… And WORLD TITLES!!!!!! I know this will take a lot of work but I have great support in my team with Dena and Mary an Zack at Striking Beauties an the girls there… And Peter, Diego Periera and Ron, my dudes at Manfredo’s… I give thanks to Jaime Clampitt everyday also, she pulled me back into the sport!!! Very inspiring interview. Nice blog, thanks for posting. Welcome to Girlboxing! Thanks so much for your comment! It is really appreciated. « AIBA Women’s World Boxing Championships 5/14/12!